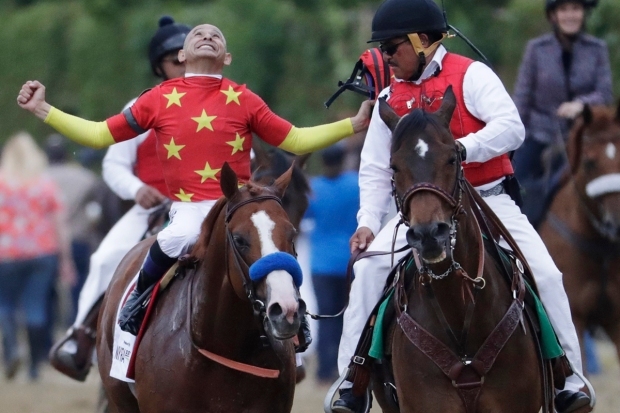 It's Triple Crown season, and all eyes are on horse racing's most athletic 3-year-old thoroughbreds as they compete for the sport's most lucrative prizes. But the serious money doesn't come from winning races — it comes years later, after a champion horse is "retired to stud." A superstar stallion can command lofty fees for getting "intimate" with mares in hopes of producing a top-tier foal. Today, horse breeding is a huge business — $39 billion and growing, CNBC reports. Top stud Tapit earned $557,300 over the course of his racing career. But as of 2018, he will have generated about $167.8 million during his breeding career. Breeding horses can be expensive and risky, but if all goes well, the breeder can be rolling in the dough.